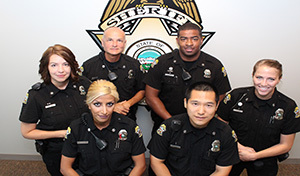 Are you ready to challenge yourself with an exciting career in law enforcement? Join our family and see what you can do to positively impact our community! Sheriff Hayden began his career in law enforcement when he joined the Summit County Sheriff’s Office in the state of Colorado. After serving 2 years he decided to pursue his lifelong goal by returning to his home state of Kansas and becoming a Deputy with Johnson County. Growing up in the De Soto, Kansas area, he was familiar with the Johnson County Sheriff’s Office and the professionalism and dedication of the deputies who served. In 1981 his goal was achieved when he began his career with Johnson County. Sheriff Hayden began as a Deputy assigned to Detention, where he learned the intricacies and inner workings of the District Court system. He also began a long lasting relationship with attorney’s working for the prosecution and defense, as well as the Judges mediating the trial process. During his 28-year career with the Johnson County Sheriff’s Office he also served as an undercover officer with the City-County Investigative Squad, a uniformed patrol officer, a dispatcher, and a firearms instructor/armorer. He was promoted to Sergeant in 1987, which began his experiences in supervision and management. Sheriff Hayden served as a Patrol supervisor and Communications supervisor. In 1997 he was promoted to the rank of Lieutenant which added additional duties and responsibilities. It was during this period that his knowledge of the entire operational needs of the Sheriff’s Office was developed. 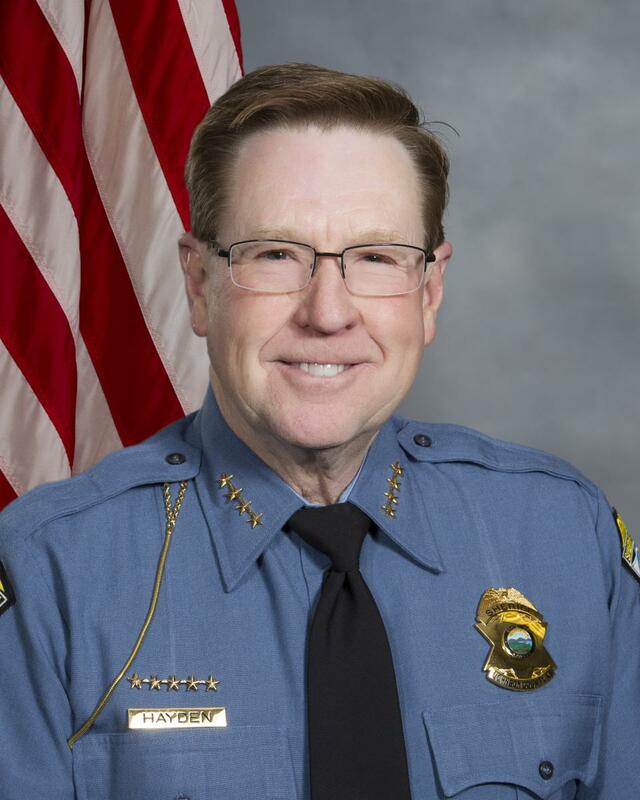 After serving over 30 years in law enforcement and public service, including 28 years of experience in the Johnson County Sheriff's Office, he began serving a four-year term as the elected County Commissioner from the Sixth District. Sheriff Hayden also has a distinguished record of community involvement, including serving on the boards of the Consolidated Rural Water District #6, the Northwest Consolidated Fire Department as a member of the board of directors, the Northwest Consolidated Zoning Board, and is currently serving on the board of directors for Rural Water District #7. His civic experience includes the American Legion, the Olathe Rotary, the De Soto Masonic Lodge, De Soto Youth Baseball, and the Chambers of Commerce of Gardner/Edgerton, Olathe, and De Soto. He is also a veteran of the United States Army Reserves and the United States Coast Guard Reserves. Calvin is married and a resident of Gardner. To serve the people of Johnson County with the foundational principles of service, justice and fundamental fairness. Achieve the highest level of excellence in law enforcement by empowering employees through courageous leadership and strong values, to better serve the community and be a model for other law enforcement agencies throughout the country.